Our comprehensive skill set and ability to encompass the functionality of a facility with contemporary styling and brand characterization is what gives a collaborative drive to partner with our client. This exercise coupled with optimized design standards, design style and design adaptation, scale, visualization and material allocation are the values which drive us to be client centric. The Company-D Subhas and Associates is in Consultancy services since 1985 and a Tax paying organization since then. 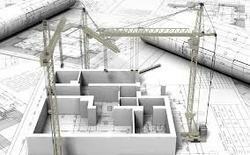 The proprietor Mr. D. Subhas is a Mechanical Engineer (1970, B.E.College) who uses his 37 years of Experiences in Industrial & Architectural field for the services to the clients/- National-International-Governments. His son Mr. Somdev is B.Arch ( RVCE, Bangalore 99-04) is registered Architect with Council of Architecture, New Delhi. He was a key member for Architectural Activities for Internationally known firms and he himself guided a team for INTERIOR Design (A-Z) & PMC for the largest Companies in the field of IT business. The Company maintains a team of Engineers, Architects, Interior Designers, MBA personnel etc to work together with Associates/Experts of different field for achieving the success of the Project. We are pleased to present ourselves as one of the Consultancy House, having excellent list of valued clients/and enlistments with all Govt. Agencies. (as shown by the side of this document).